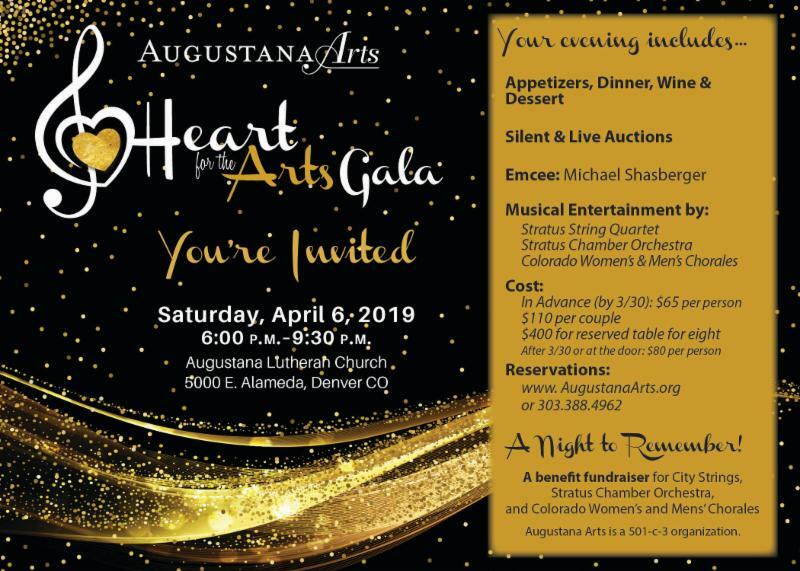 Saturday April 6, 2019 6:00 p.m.
Join us for A Night to Remember at the 2nd Annual "Heart for the Arts" Benefit Gala!The evening includes appetizers, dinner, wine and desserts with live performances of Stratus Chamber Orchestra, Colorado Women's and Men's Chorale, and City Strings students. Our guest Emcee, Michael Shasberger, returns to Augustana Arts to celebrate our 21 years. And a live/silent auction will benefit all the valuable programs we offer to the community. 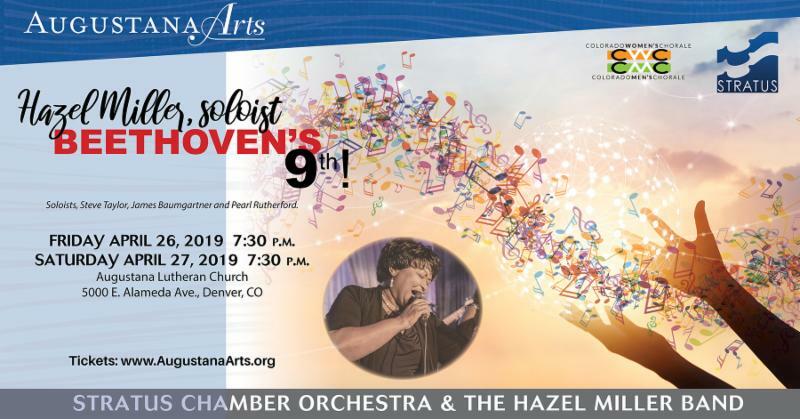 Join us for a golden evening with friends and family who have a heart for the arts! Order your tickets here ! Monday April 8, 11:00 a.m. through Wednesday April 10, 11:00 a.m.
You know how hard your youth ministry staff works for your congregation. Well, Rainbow Trail wants to give them a little bonus for all that they do. 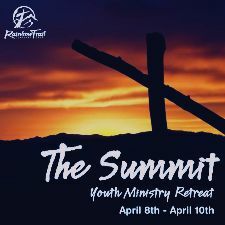 The Summit, RTLC’s youth ministry retreat, is for your youth and family ministers. And it is absolutely FREE. 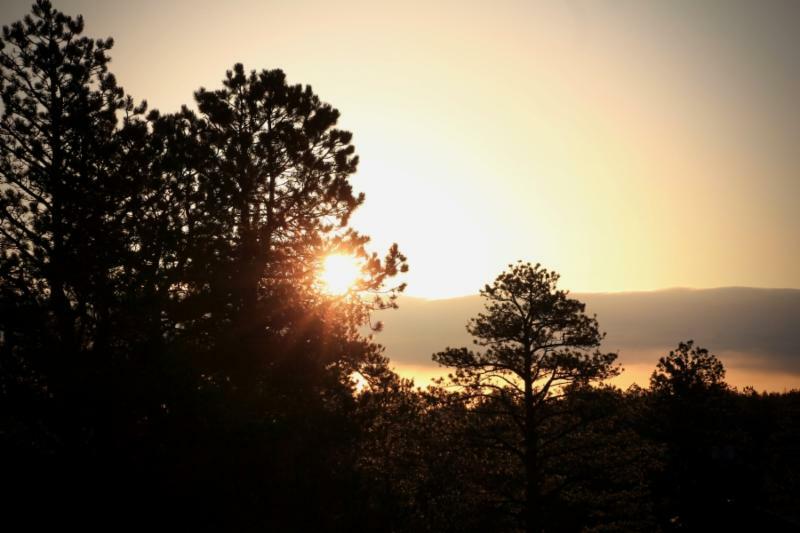 The Summit will be held April 8-10, 2019 at camp and is free to church personnel who work with youth in the Rocky Mountain Synod. Our keynote speaker, Julie Miller, will be talking about “Learning to Support our Youth with Mental, Emotional, and Social Health Issues.” Julie is an expert in this area and is excited to share her knowledge around MESH issues and youth. 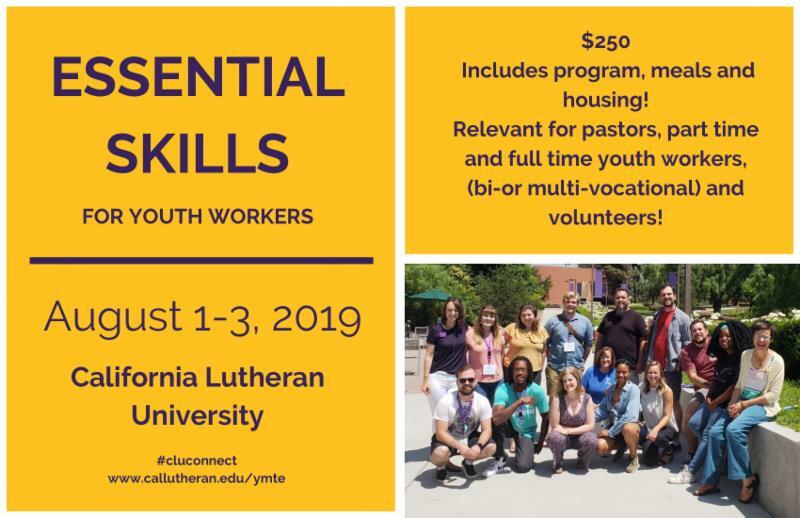 We look forward to offering a time of personal renewal, professional development, continuing education, and networking with other Youth Directors, Pastors, and Christian Educators. Contact Daniel atdaniel@rainbowtrail.org for more information and details. Registration is open! Sunday, April 14 from 1:00-3:00 p.m. Lent is a time of prayer, fasting and sacrificial giving. How will you spend your 40 days of Lent? To honor the beginning of Holy Week, Urban Servant Corps invites you to walk and pray for the neighborhood where USC volunteers serve and accompany those who are most in need in our community. ﻿After the walk, we will gather with Bishop Gonia for a prayer service and an opportunity toshare offerings in support of the ministry of Urban Servant Corps. May this event be an act of faithful support for the justice we seek in our neighborhoods! LFS' 25th Annual Gala on April 26 - Mark your calendars! The LFS Gala is our premier fundraising event which features a night of dinner, entertainment, an auction, and companionship. More information here! Silent auction item donations are still needed - can you or a group of friends put together a gift basket, or donate a gift certificate or item to help raise funds for our human service programs? 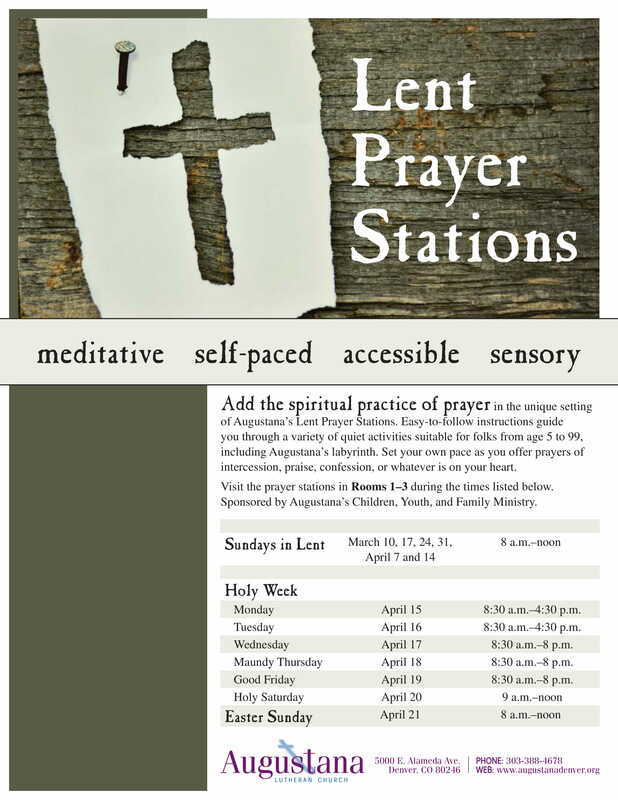 For more information or to schedule a pick-up, contact Katie Scherr at katie.scherr@lfsrm.org. Friday April 26, 2019 at 7:30 p.m. and Saturday April 27, 2019 at 7:30 p.m.
Saturday, May 12 from 3:00 - 5:00 p.m.
Help by donating a Silent Auction item, a cash donation, and/ or attending this event that will celebrate our diversity of cultures through music, clothing, and appetizers! Beer and wine will also be served! Contact Kinna for more information or if you would like to donate a Silent Auction Item: 303-889-9844, ormisskinna.cyf@gmail.com. 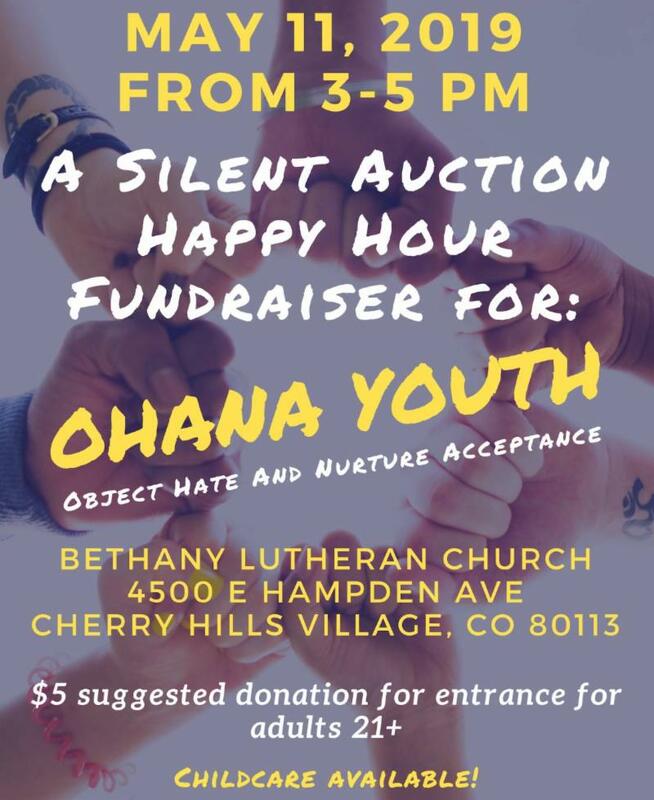 My name is Kinna and I am the founder and Director of OHANA Youth Ministry, an ecumenical and multicultural community youth group based out of St. Mark's Aurora.OHANA stands for: Object Hate And Nurture Acceptance. In a world of differences where people can’t seem to find their own worth, let alone see the worth and humanity in others, this is a space where young people feel welcomed, worthy, and are taught how to be accepting of people who are different from themselves. The gospel is what guides us on this journey! 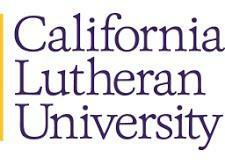 Summer Offerings from CLU Office of Congregational Relations! 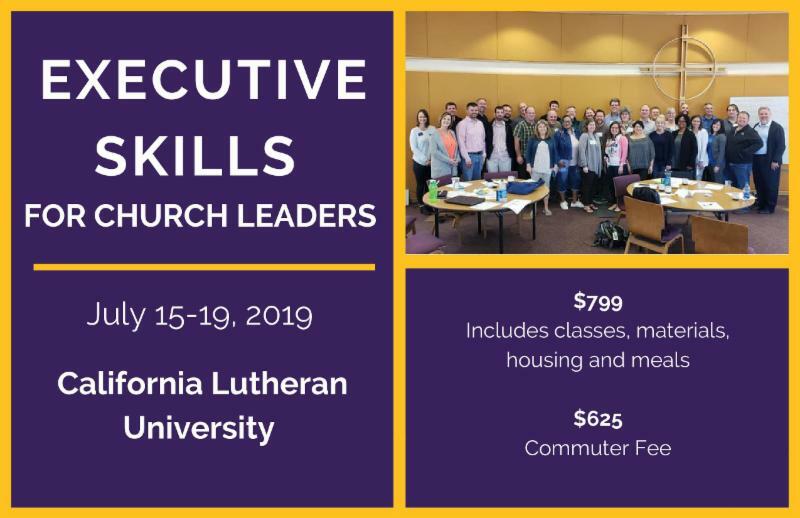 This continuing education event for pastors and church leaders will explore how concepts from a MBA program can be applied to the arena of congregational life. Click on the postcard below for more information. Volunteer? Full time? Part Time? Paid? 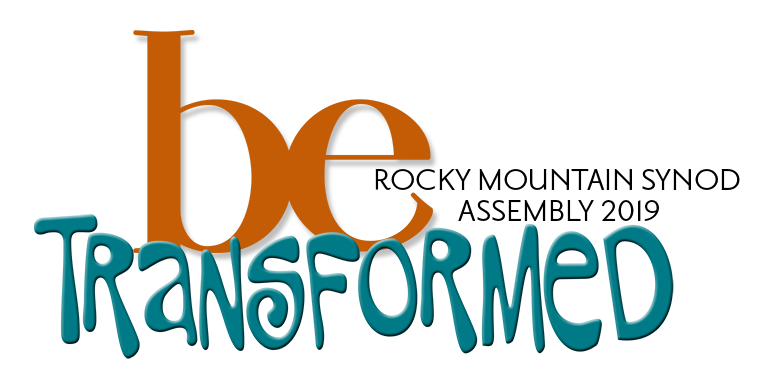 We've got a personal and professional development program for you or your youth workers! Click on the postcard below for more information. Friday, April 5, 5:30 - 9:00 p.m.
CIRCO for Community and Justice a benefit dinner of the New Mexico Conference of Churches to be held on April 5 at Our Lady of the Holy Rosary in Albuquerque. 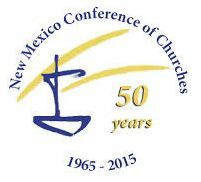 As a friend of the New Mexico Conference of Churches we ask you to include an announcement of CIRCO in your late-February /early-March communications; become a Facebook event co-sponsor; consider purchasing an ad or becoming a fiscal sponsor of the event; and attend with your friends. Here are files you may use in your publications. Go here to promote the event on Facebook, and become a FB co-sponsor. Advertisers and Sponsors to be included in our program booklet are welcome by March 5. Deadline for reservations is March 25. Thank your for your help to promote CIRCO and your support of the ecumenical community in New Mexico! 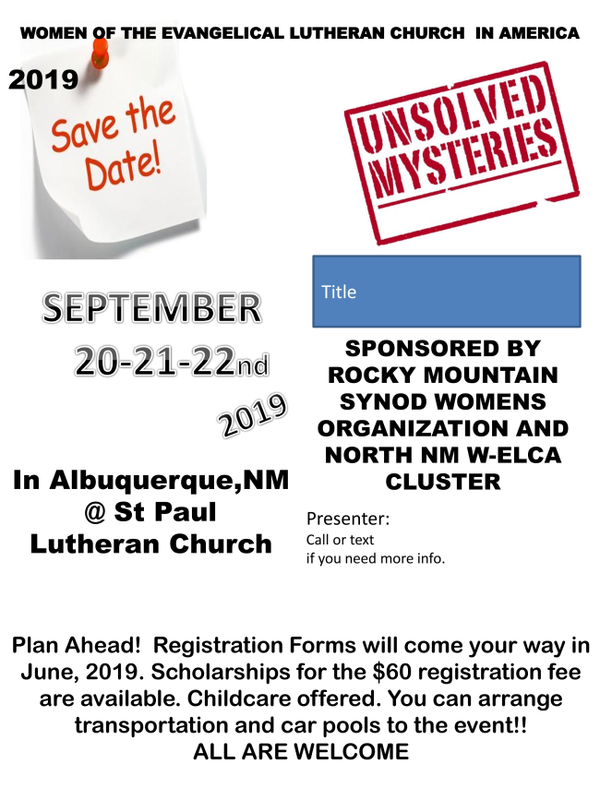 Synod Assembly is coming to Albuquerque which brings some unique opportunities for local folks this year! Local Visitor Option: Area folks are invited to join the assembly on Saturday afternoon/evening which includes: Afternoon excursion/immersion, dinner, and evening worship. Cost: $50. Saturday evening worship: Area congregations are invited to join our evening worship on Saturday, May 4. Election Volunteer: We are looking for one person to serve on the election team for the next two years. Contact Deacon Erin Power for more information. 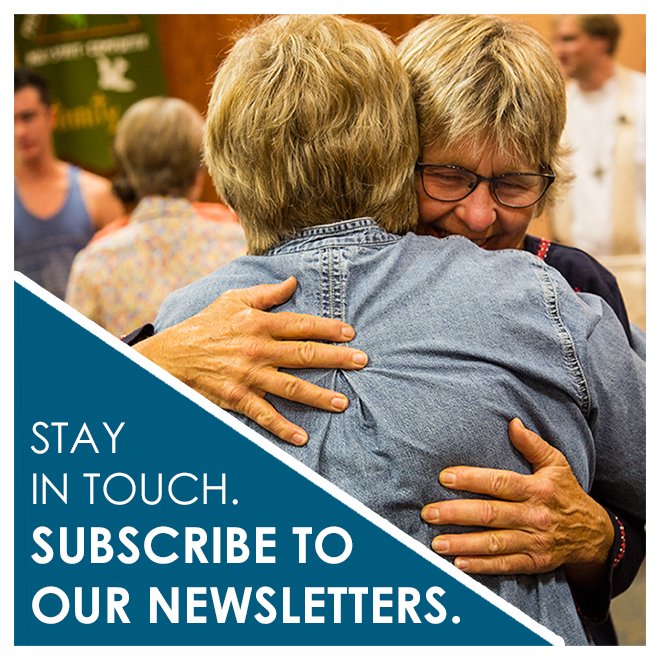 You can subscribe to many ELCA newsletters in one place. Keep up-to-date with the ministries that mean the most to you, or share with a friend and encourage them to subscribe. Sign up for news about the global church, Lutheran Disaster Response, stewardship and ELCA World Hunger. These events first appeared in our weekly newsletter "eConnection" and are listed here to to ensure that information about them remains easily available. Submit an event, news article, or employment opportunity.